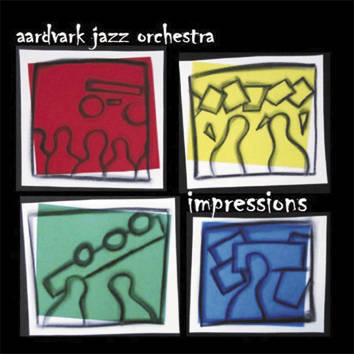 The seventh CDs by the Aardvark Jazz Orchestra, the first one being released almost 20 years ago — what an amazing tribute to the founder/music director Mark Harvey who managed to keep the orchestra together since its inception in 1973. Impressions is a CD of live performances consisting of sonic images of events and the postmodern zeitgeist raging from the frenetic to the lyrical, the Dada-esque to the elegiac, and the monumental to the meditative. The orchestra blends individual, collective and conducted improvisation within complex notated structures.